A lovely large number '25' drawing of rose blossom. Hand finished with glitter and various embellishments (not shown). 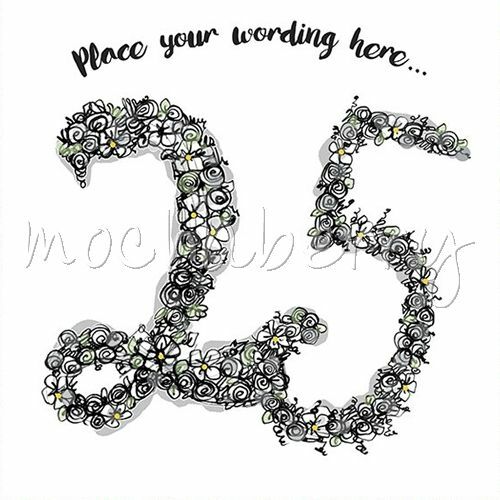 suggestions for use: silver 25th wedding anniversary.